Creating a comprehensive estate plan is one of the most important things you will do during your lifetime. It can also be one of the most intimidating endeavors the first time around because most people are unsure where to start or what they need to include in their plan. The estate planning attorneys at Nirenstein, Horowitz & Associates, P.C. understand all of the numerous and varied emotions that tend to go along with the estate planning process because we have dedicated our practice to helping people just like you with their estate planning needs. In fact, we chose to focus our practice on estate planning and related legal issues primarily because we want to help our friends and neighbors in Avon, Connecticut by ensuring that the people and things that are important to them are safe, both now and in the future. Located in the Farmington Valley region of Hartford County, Connecticut, the town of Avon covers almost 25 square miles and had a population of 18,098 as of the 2010 Census. In 2005, Avon was named the third-safest town in America by Money Magazine. The River Indians inhabited the area now known as Avon for thousands of years before selling the land to the English whereupon the Town of Farmington was established in 1645. 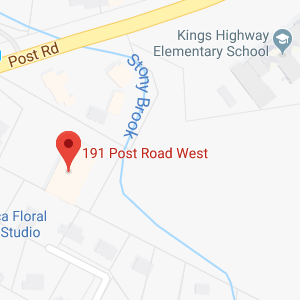 Over the next century, controversy was never far away from the area as settlers on both sides of the Farmington River argued over where the parish meetinghouse should be located. At the time, most homes were located east of the Farmington River in the Waterville Road vicinity. Accordingly, the Hartford County Court said the meetinghouse must be on the east side of the river. Clearly unhappy with that decision, 22 inhabitants living west of the river signed a petition claiming hardship at crossing the river to attend church. The Court refused to reconsider and the first meetinghouse went up in 1754 on the east side of the river. Over the following decade, however, the population in the west grew. Finally, a bridge was built in 1763; however, ice and floods destroyed that bridge and at least five others over the next few decades. By the early part of the 19th century, population growth coupled with a suspicious meetinghouse fire in 1817 combined to resolve the one-meetinghouse problem. By that time, power had shifted west, resulting in a vote of 44 to 37 to build a new meetinghouse in what would eventually be known as West Avon. That meetinghouse the West Avon Congregational Church on Country Club Road, still stands today. The Northington Society from east of the river built their own new meetinghouse the following year, which is also still standing today and is known as the Avon Congregational Church on West Main Street. At the time Avon became a town is had 1,025 residents, the Farmington Canal and a bustling Canal Warehouse, a three story hotel, and the Talcott Mountain Turnpike from Hartford to Avon, New Hartford, and on to Albany. The land near Avon was extremely fertile, allowing families to thrive on dairy, poultry, and tobacco farms. Visitors to Avon may wish to see the Heublein Tower overlooking Avon where Republicans asked General Dwight Eisenhower to run for president as well as the innovative Avon Old Farms School for boys which opened in 1927 and built by stonemasons from the English Cotswolds, from Italy. The Avon Historical Society operates the restored Pine Grove Schoolhouse (built in 1865), the Living Museum, and the Derrin House, a circa 1810 farmhouse. 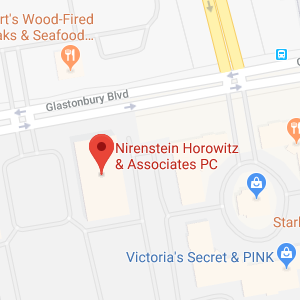 The attorneys and staff at Nirenstein, Horowitz & Associates, P.C. have chosen to dedicate our practice to the issues we feel matter most to our friends and neighbors – protecting yourself, your assets, and your loved ones. We firmly believe that estate planning is vital for everyone and is best accomplished when you have an ongoing relationship with your attorney which is why our goal is to create a lifelong partnership with our clients in the Avon, Connecticut area. We understand how difficult it can be to share your personal needs and wishes with a stranger which is why we strive to develop ongoing relationships with our clients. Estate planning is not something that is accomplished in a single meeting. On the contrary, your estate plan should be reviewed and modified as you pass through the various stages of your life and events transpire that should warrant changes to your plan. We want to be there with you for all those important events to be sure your estate plan reflects the changes in your life. Your initial estate plan may focus entirely on creating a plan for the distribution of your estate assets in the event of your untimely demise. As you progress through the stages of your life, changes in your life will require corresponding changes to your estate plan. If you marry, for example, you will want to include your spouse as a beneficiary in your plan and likely appoint him/her to a fiduciary position within your plan. Becoming a parent will also cause you to start thinking about things such as incapacity planning, probate avoidance, and other estate planning issues that impact parents with minor children. As your asset portfolio grows, you may need to incorporate asset protection and tax avoidance strategies into your estate plan. Retirement planning and Medicaid planning will also need to be considered as early on in your life as possible to reap the maximum benefits from those plans. Our goal at Nirenstein, Horowitz & Associates, P.C. is to be with you throughout your life’s journey and help ensure that the people and things that are important to you are protected at all times. If you have additional questions or concerns about estate planning, or wish to get started on your plan, contact the experienced Avon, Connecticut estate planning lawyers at Nirenstein, Horowitz & Associates, P.C. by calling (860) 548-1000 to schedule an appointment.